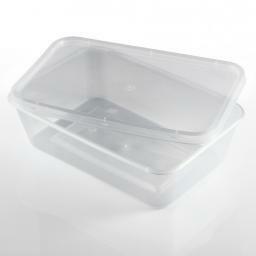 Our clear microwave containers are ideal for food outlets and take-aways. Suitable for hot or cold food and microwave safe. Freezer safe and for re-heating in the microwave, our containers offer a cost effective way of storing many types of food. They can be stacked for display purposes, and are sold ready for use. Perfect containers for sauce, gravy and dips, coleslaw, olives, pasta meals, noodles and soups.